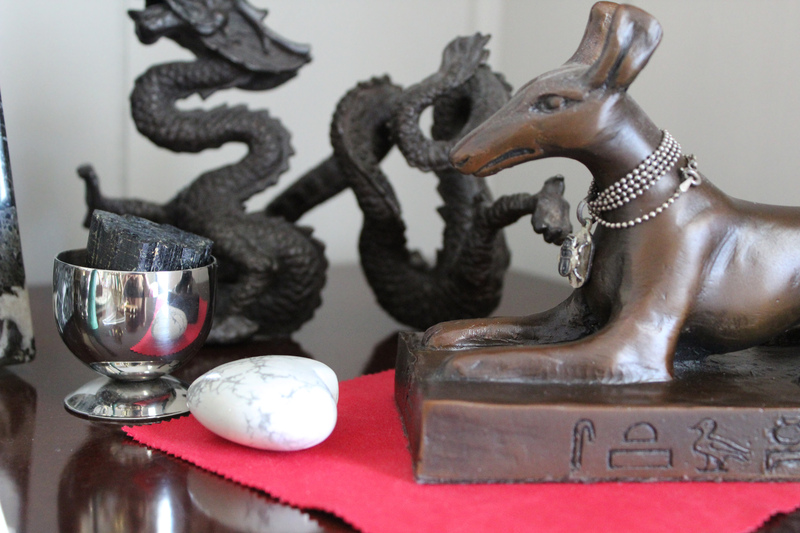 There's been just a few new additions to the shrines. 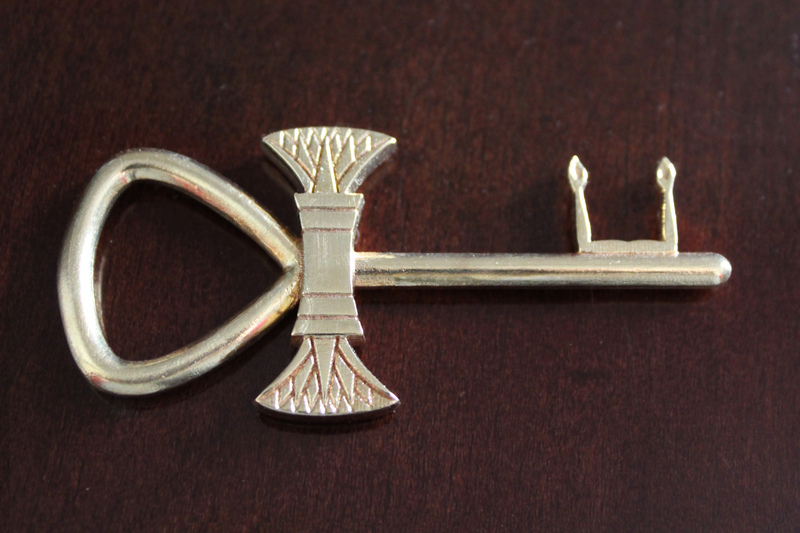 The above was inspired by the key to the door of the temple at Abu Simbel, which is the shape of an ankh. But the artist made it more fancy, to have the floral ends. 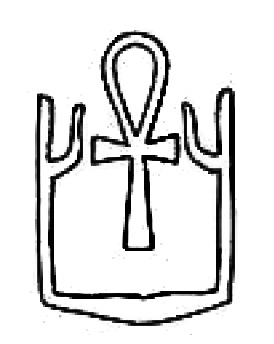 To me, it is saying "life to one's Ka", a theme seen in Old Kingdom art. 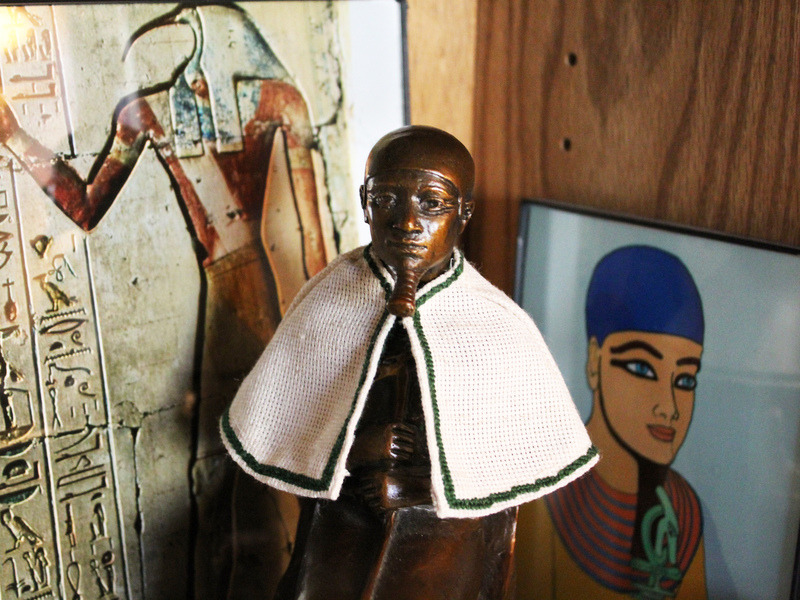 Hathor's area of this informal shrine has an addition (actually a "trade-out"). 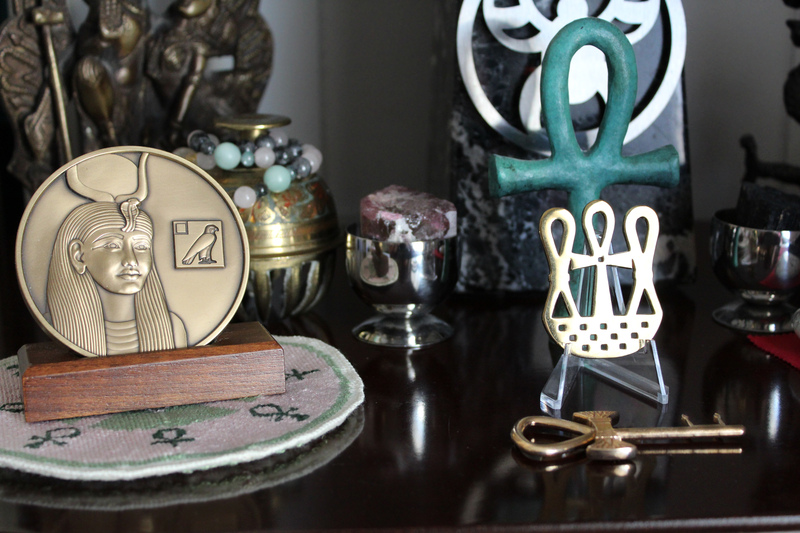 Her little cup now is filled with two tourmaline crystals. The one on top and visible is of the rubellite variety. I used the needlepoint canvas as the fabric, so I could make a needlepointed border around it.